Photo courtesy of Healthnet Aeromedical Services Base 4/Medflight 7 Portsmouth was named one of 50 quarterfinalist communities in the America’s Best Communities competition. Efforts are being made to help advance the area into the next phase of competition. In April, Portsmouth was named one of 50 quarter-finalist communities in the America’s Best Communities competition. Now the city is competing for the grand prizes totaling $3 million. Because Portsmouth was named a quarter-finalist, the Southern Ohio Port Authority (SOPA) was awarded a grant for $50,000 and has six months to shape and refine revitalization plans to submit for the next round of competition. SOPA has expanded the analysis of the Dayton Walther plant to include the entire river front. Kester acknowledged the Ohio River is one of the economic drivers for the Portsmouth and Scioto County communities. “A second part of that scope is looking at the recreational attributes of the river front. We’ve talked to folks from the Portsmouth Motorcycle Club to Steve Free (local musician) and local architects. We’re all trying to bring together some of the work that’s previously been done and incorporate that with some new ideas on how to maximize our ability to enjoy the water front,” Kester said. A third component of the grant will include a marketing exercise, promoting community unity. 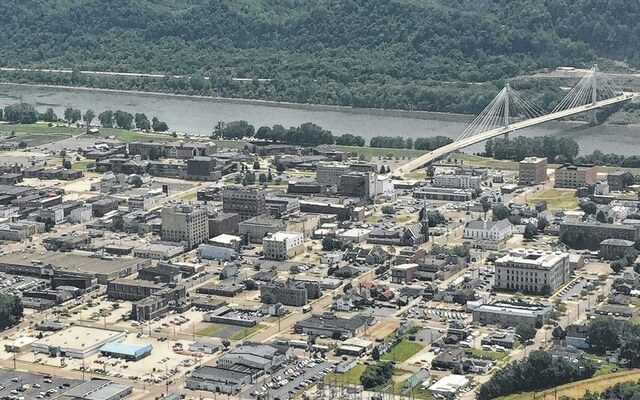 “The overarching goal of the America’s Best Communities Grant is increase the commercial and recreational access to the river front in Scioto County,” Kester said. According to contest information, in early 2016, 15 semifinalists will be selected to attend the America’s Best Communities summit to present their strategies and eight finalists will be awarded another $100,000 to continue implementation of their plans. In April 2017, America’s Best Communities will name its three competition winners — those communities best able to dream big and deliver on those dreams. The winning community will be awarded $3 million, with $2 million for second place and $1 million for third. For more information about the America’s Best Communities competition visit www.americasbestcommunities.com. This story originally appeared in the Portsmouth Daily Times.